Skyhammer and Roadblock are both Ultra Pretenders! Frankly, I find them confusing. 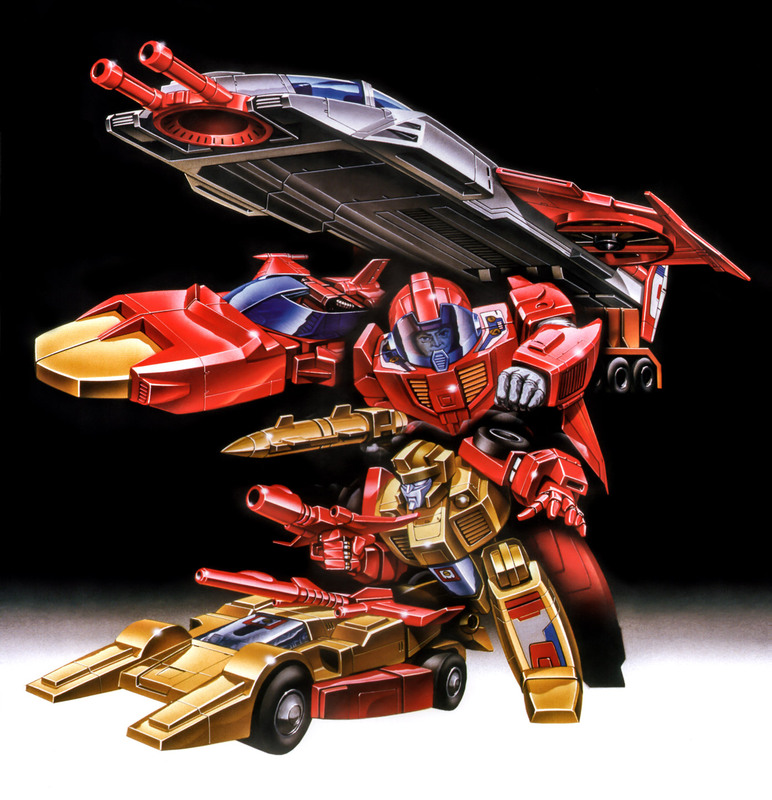 Best as I understand it, like all Pretenders, they are a Transformer contained within a deceptive shell, except in this case the shell also transforms, and then, like, they combine or something. I mean, just look at their art: in concept they're awesome! But they're about $100 each on eBay, and that price far exceeds my level of interest by about 1000%. It's unlikely I'll ever find them cheaply... and I'm okay with that. If I die tomorrow, I won't regret not having owned an Ultra Pretender. But damn! Check out that art! Totally awesome. 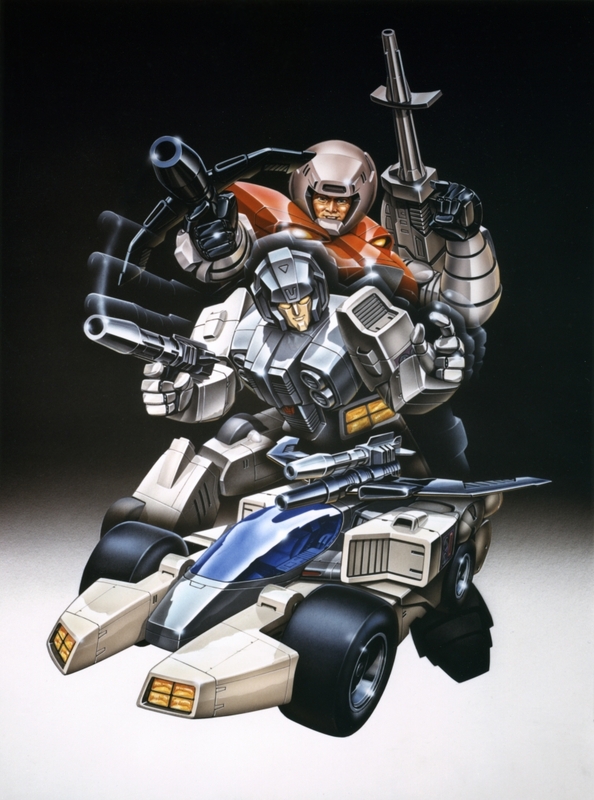 Both images were scanned from Transformers Legacy, these images were masterfully edited by NegatronDave! I didn't get it when I was a kid, and I don't get it now. They were basically the Russian nesting dolls of the Transformer Universe. But, I concur with your assessment of the box art. Sweet! HA! Now I want a Transformer named MATRYOSHKA who just keeps revealing smaller and smaller Transformers inside himself. Of course, I'm now realizing that that's exactly what Ultra Magnus (Minimus Ambus) is in the More Than Meets the Eye comics. Shhh...spoilers! Oh, wait...they just released that figure as part of Combiner Wars, didn't they...But to get the full effect, Ultra Magnus would have to pilot a bigger robot, no? Great site, love the Transformers.